How to avoid hair loss Before: these big companies discovered the formulae for healthy hairs no one used to have long, shiny and healthy hairs. Do you agree with this statement. Well I don’t. Since time immemorial people had good and bad hair. In this article I am discussing few hair oils which were used for ages and have time tested results for good hair. They are cost effective too. 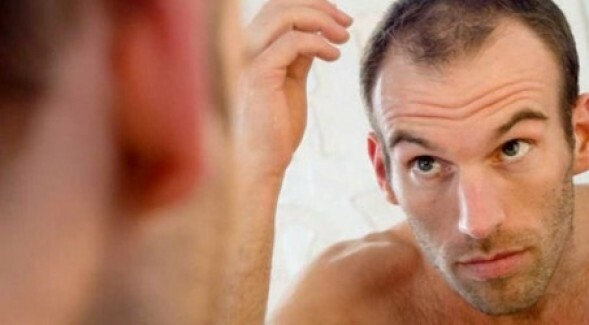 we will tell you how to avoid hair loss. Hair fall is a slow process and by the time it becomes apparent you have already lost around 50% of the hair in that region. Several factors can be blamed for hair loss and the leading ones include: genetic factors, lifestyle, diet and hair care routine. While one cannot control the hereditary factors, you can definitely manage and control rest of the factors. There are few hair oils for hair loss which have excellent nourishing properties. Although growing back lost hair is a long process but judicious use of these hair oils can help you stop further hair loss and give your hair that volume and a healthy sheen. Probably coconut oil is one of the best oils for hair loss. Coconut oil penetrates well within the hair shaft and retains the moisture of the hair by acting as a sealant. The hairs are less likely to suffer damage and stay dense as well as strong. It also protects your hair from some of the infections of the scalp. Once a week, massage warm coconut oil on the scalp and hair strands. Leave it there for about an hour and then wash with a mild shampoo. This acts as a wonderful moisturiser for your hair. Rich in vitamins D & E and minerals such as calcium & magnesium, almond oil acts as a natural moisturiser for your hair. It prevents the hair from turning dry and brittle. Almond oil also strengthens the roots of the hair and reduces hair loss. It makes your hair stay healthy, thick and strong. Almond oil also increases the growth of the hair. Various almond oils are present in the market and you can also get the oil extracted by yourself from the raw almond oil. Some people are allergic to nuts and should be careful while applying almond oil. Before applying one should warm almond oil for a few minutes. Gently rub it over your scalp, allowing the oil to penetrate. Leave it there for a few hours, preferably overnight and then wash with a mild shampoo. Olive oil nourishes the hair as it can penetrate the hair shaft more effectively than other oils and also has moisturising properties. It also contains vitamin E and monounsaturated fatty acids that play an important role in promoting hair growth. Olive oil application makes the hair smooth and shiny, one can use the word ‘silky’. Take warm olive oil according to the length of your hair and slowly massage it onto your scalp and over the strands of hair. Leave it there for 30 to 45 minutes and then wash your hair with a mild shampoo. This oil has excellent hair growth properties and is considered an effective remedy against hair loss. Most of these benefits of castor oil are due to the oil’s contents –triglycerides of ricinoleic acid, linolenic acid and oleic acid. These have anti-bacterial and anti-inflammatory properties and vitamin E that has antioxidant action. Castor oil ingredients have some cross effect on prostamide receptors. Massage the castor oil onto the scalp and spread it evenly on hair strands. Keep it there for at least one or two hours and wash the hair using shikakai (acacia concinna) or reetha (sapindus trifoliatus) powder. If you find that castor oil alone is too thick, mix it with a little coconut oil or olive oil to thin it and follow the same procedure. Lavender oil is highly effective against hair loss. It increases circulation of blood in the scalp and also provides an anti-bacterial effect that keeps the scalp free from infections, improving the health of the hair. Take a little lavender oil and mix with either coconut or olive oil. Apply it daily to your scalp. Massage a little of this oil daily onto your scalp and leave overnight. Wash your hair the next morning using a mild shampoo. Along with the regular use of herbal oils, consume a healthy and balanced diet rich in minerals and vitamins. Keep yourself away from stress and you are bound to notice a definite improvement in the quality of your hair.